There are two ways we recommend to get to Marrakech. The first and most convenient method is to flight via Royal Air Maroc on a direct flight from JFK or any other of the cities they serve in the US. The other way, which we actually did and believe is better because it adds value to your overall trip is to fly via TAP Air Portugal, they offered stopover program with amazing benefits and discounts on hotels so you can explore another city for the price of one. In Marrakech, there is not a shortage of unique places to stay. We opted to stay at Riad BE Marrakech - this awesome riad (hotel) is only about a 15-minute ride from the airport, they offer transfer in case you prefer to book one. The riad offers a traditional Morrocan breakfast which was quite tasty. As far as accommodation, we noticed they are 6 different rooms in total and they cool thing is that they are all decorated creatively. 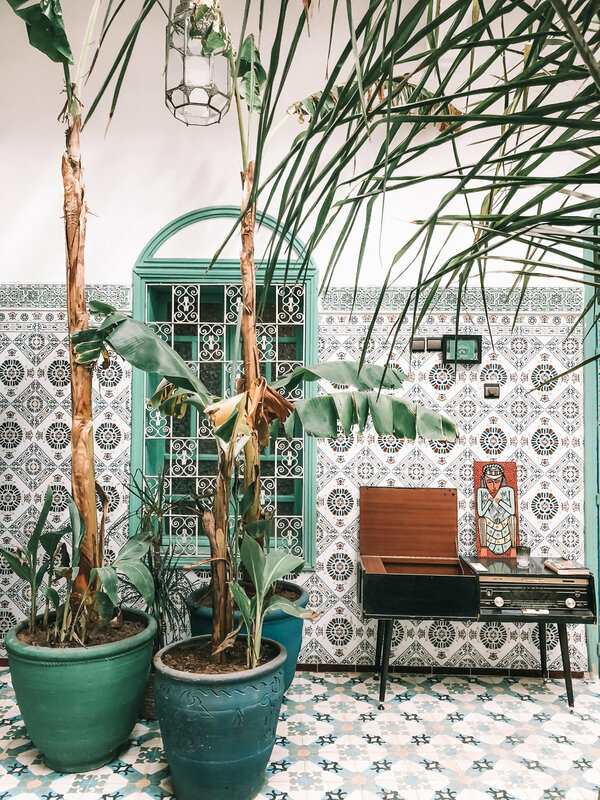 All in all, this riad is perfect for photos and to relex. Its main pool is very popular with its beautiful turquoise and blue hues, overall this riad has all the things you might need such a fast wifi, great location and amazing service. 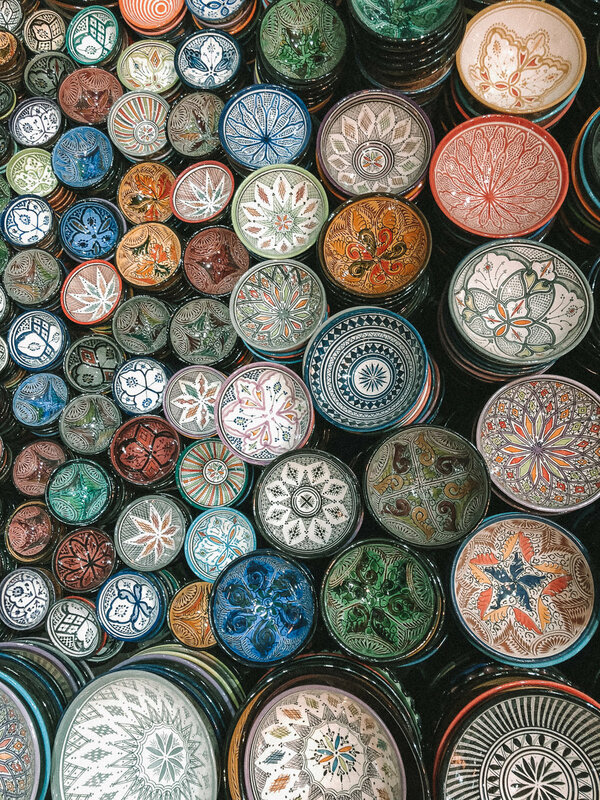 There are several fun things to do while you are in Marrakech. 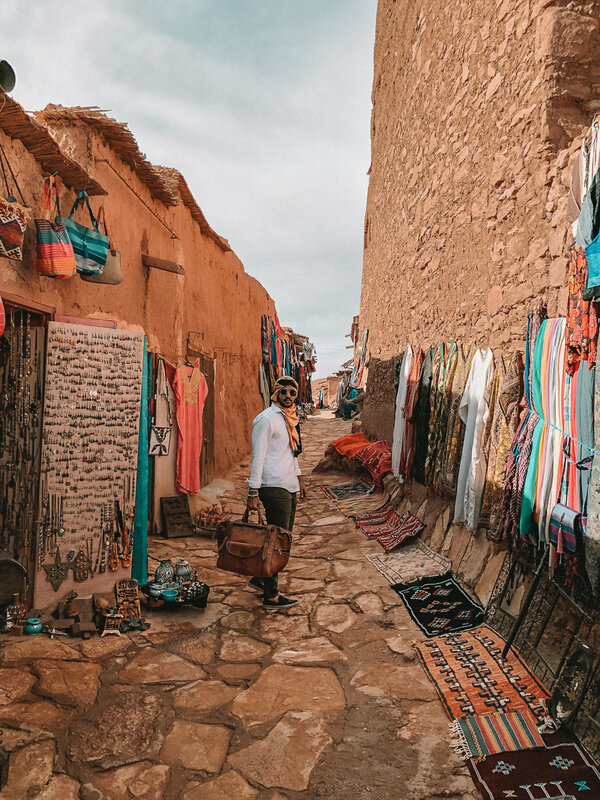 The first thing we recommend is to explore the markets (Souks) these shops are connected so you'll be able to see most of them if you want. There you can literally find anything; we purchased a leather bag for 400 local currency which equals to about $40 US dollars, also we got other items for gifting family and friends. Tip: always negotiate with the vendor, they will always try to sell you at the highest price. 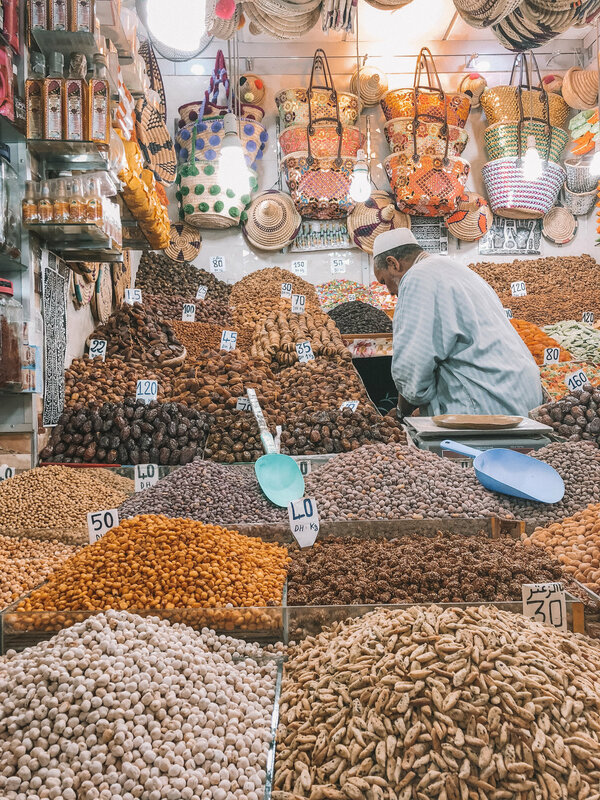 The city of Marrakech has many places you can visit. One of the places we went to see was the ancient city of Ait Ben Haddou, this is one of the most iconic sites in Morroc; here several movies filmed, it's also considered a cultural heritage of humanity and even it carries with it the history of thousands of years being the connection between Morocco and Egypt. A magical space, full of culture and history, nowadays it is a tourist point where you can get several handmade local products of the area.